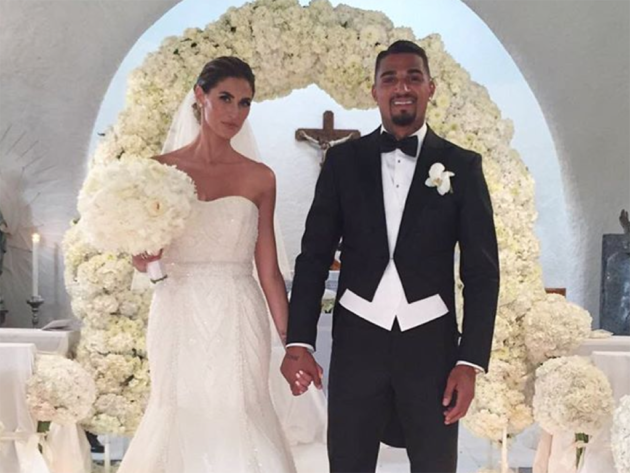 Ghanaian midfielder Kevin-Prince Boateng and his Italian-American wife Melissa Satta have broken up and and have secretly filed for divorce, according to Calciomercato in Italy. As explained by the weekly magazine Oggi, after having spent the holidays separated, the couple were on the verge of divorce. This comes even though just last month the showgirl Satta failed to confirm of deny their imminent divorce insisting she still has a ring on the finger. The former AC Milan player married Satta in 2016 but the latter has accused the Ghana star of cheating while others claim Boateng is seeking a return to his former wife. Boateng divorced his wife Jennifer in 2016 after the duo quarreled over his philandering way. The Italian TV star has been married to the Sassuolo star for over two years now but Satta currently lives alone with their four year-old son Maddox. The former Tottenham Hotspur and current Sassuolo player married Satta in 2016. The intention of the two is now to keep quiet about the situation for as long as possible to protect their son, Maddox.